Fun Food Booth Tents For Corporate Events - Interact Event Productions - Corporate Event Planning at Wholesale Prices! We Have Fun Food Booth Tents! 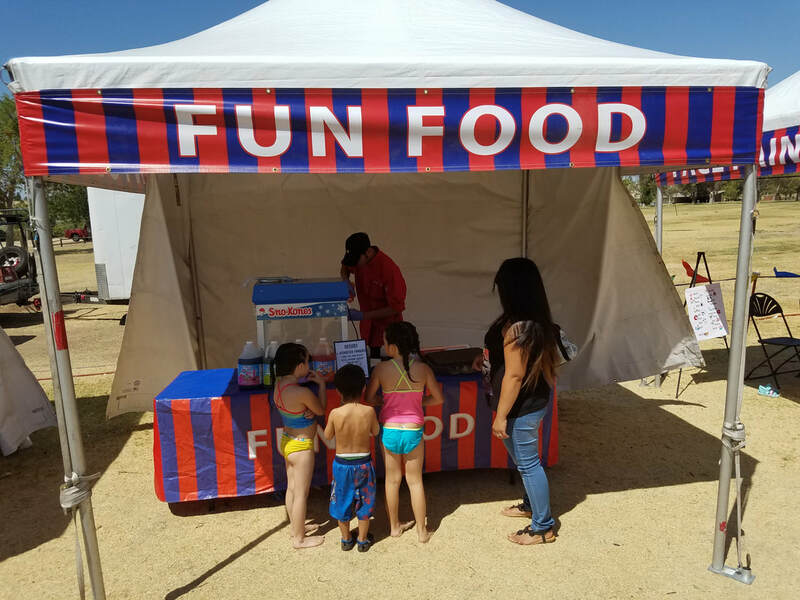 Our carnival fun food booths come with the tent, signs, product, table and attendant. We will do our very best to make your food booth look professional and inviting to all your guests. We offer signs and flagging to help direct guests to the food service areas. 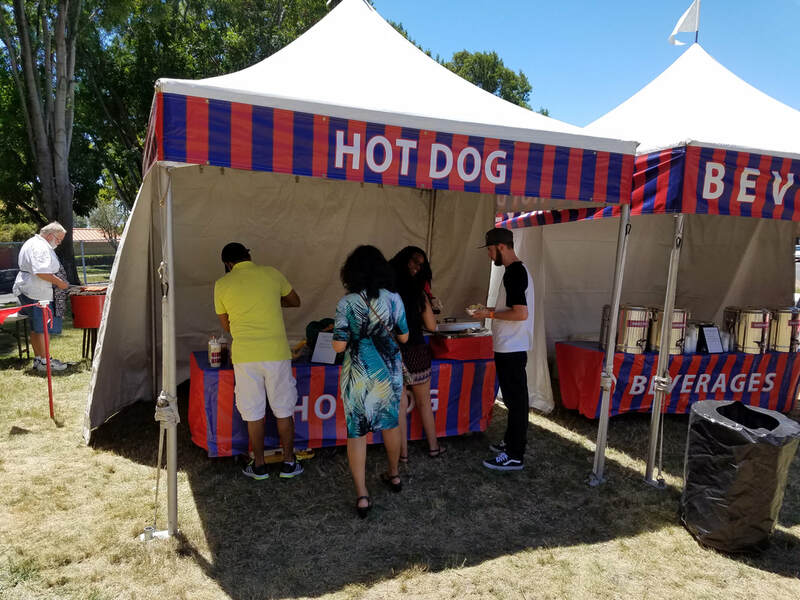 Our food booths meet safety and health guidelines and give your event a professional quality look. Food Booth Ideas For School Fun Fairs, Carnivals and Company Picnics. We Have Carnival Fun Foods & Food Service Tents! Each food items comes with it's own covered booth or multiple concessions can be combined to save space and staff as necessary. No matter how many food service booths you require, we can accommodate your needs. We can provide you with the rentals you need to create an atmosphere that people want to eat and spend time in. 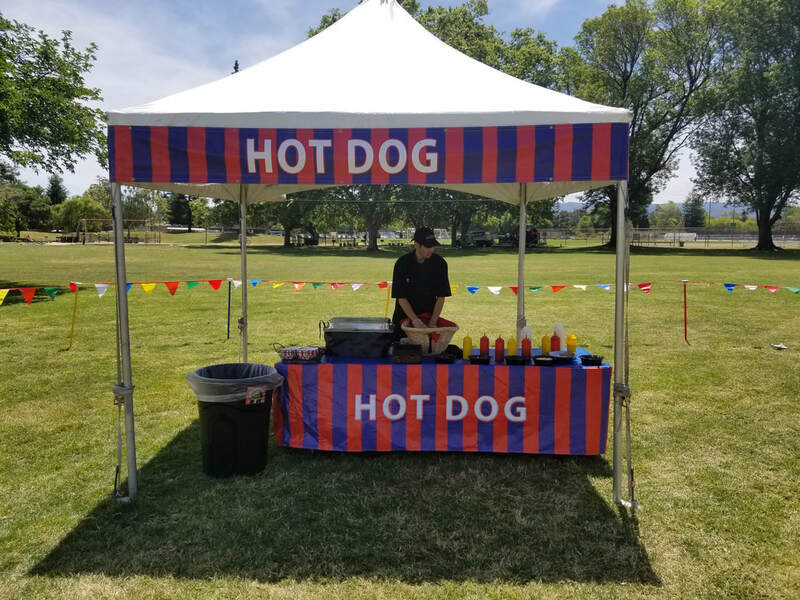 Carnival Fun Food booths are available and they're the perfect addition to any fundraiser, picnic, community event and corporate function. 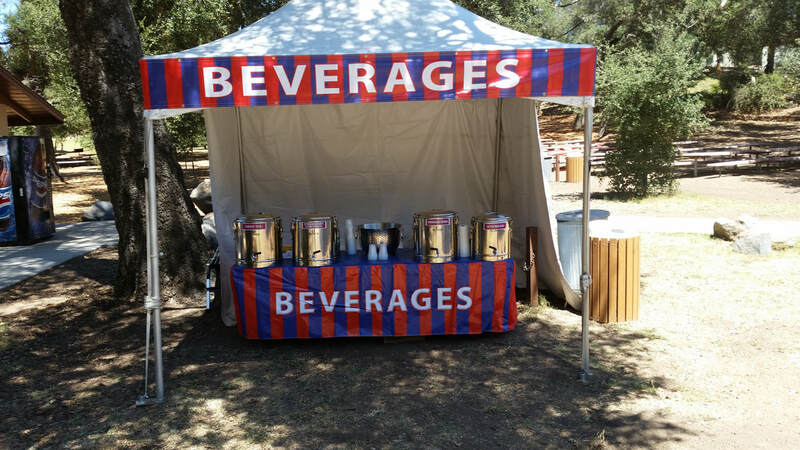 From popcorn, kettle corn, cotton candy, nachos, churros, snow cones and concessions like soda, bottled water, hamburgers and chips; your event is sure to be professional and accommodating to all your guests. Fun Food Booths Include: tent, table, product, sign and attendant. 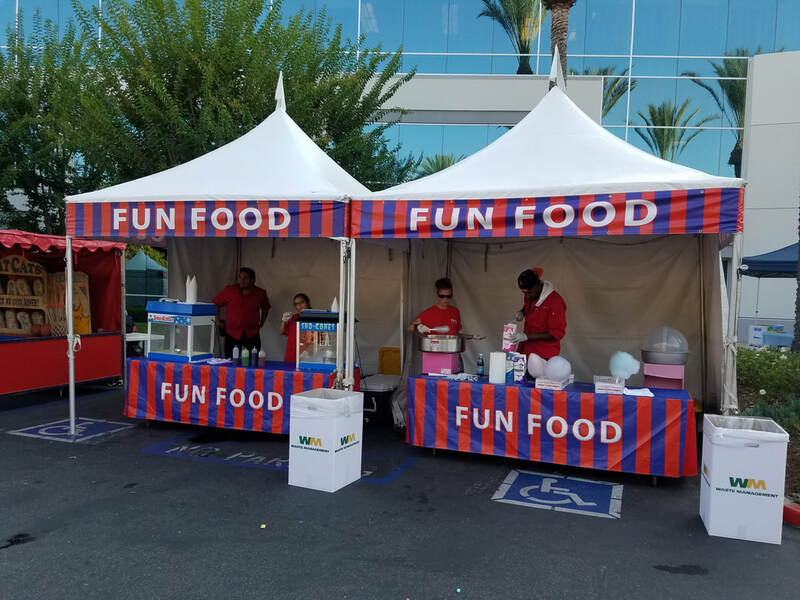 Our fun food booths are professional looking and meet food and safety requirements. We include a professional looking tent, signage, product and an service attendant with your booth! Booth rental is for a maximum 5 hours or until product runs out. Our booths come with signs and flagging to help keep your event organized and safe. ​If you are having a fundraiser, our booths can help you raise more money just because they have a higher quality look that most of our competitors. Our food service booths attract attention from your guests. We have the right look that draws in the crowds. If you combine our food service booths with our rental and entertainment services, you get a great price and first class event! Add on our field games for more fun to the party!